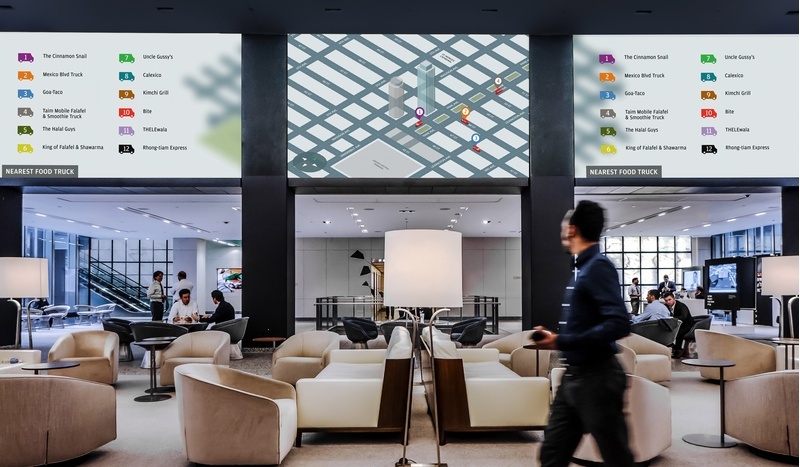 JPMorgan Chase & Co wins a Bronze APEX Award at the 2016 Digital Signage Expo for the Food Truck Animation located in their Manhattan headquarters. The C&G-designed animation is part of a larger video media wall created to emphasize discovery and utility within a corporate environment. 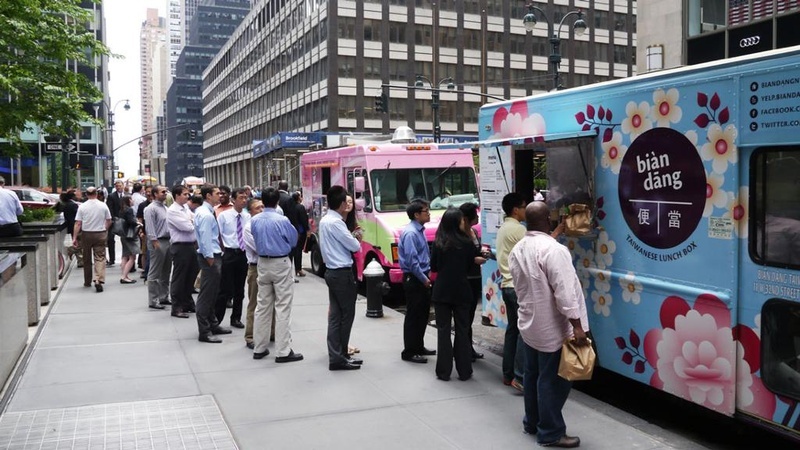 The animation geo-locates popular food trucks in Midtown, from the Mexican eatery Calexico to the Korean Kimchi Grill, and plots them on an isometric map. It is aimed at making lunchtime easier, and more exciting, for internal staff, executives, VIP visitors, and special event audiences. The functionality and appeal of the animation make it a big draw, transforming the architectural flow of the headquarters. Along with the location of food trucks, the video wall includes internal news headlines, video clips, seasonal programming, variations on everyday clocks, weather widgets, and more. It comprises 240 video cubes in three 8x10 surfaces with a triple-HD final resolution that runs 24 hours a day, seven days a week.